Close to the Belgian coast, in the centre of the town Wenduine, you'll find this lovely apartment. Spend your holiday in a homely atmosphere and enjoy everything this seaside resort has to offer. Each of the bedrooms is fitted with a washbasin, perfect if you want to quickly freshen up. The sea is only a few minutes' walk away. Great for kids to play during the day or to go for a nice evening walk. You can also get on the coastal tram here. It takes you to all the well-known coastal towns you may want to visit! 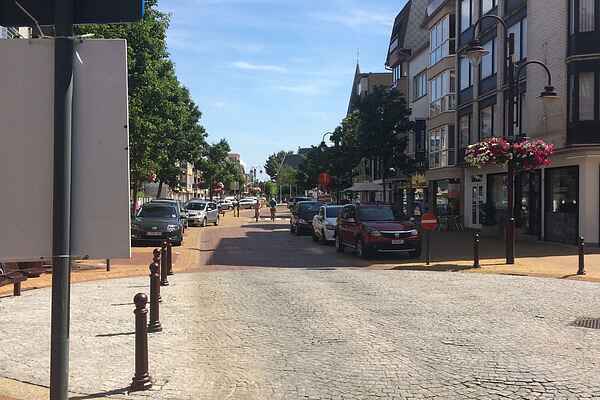 Leaving your apartment through the front door, you'll find yourself in the heart of the small town of Wenduine. It's a pleasant place to go shopping or to relax at one of the outdoor cafes. Nature lovers will like this destination, too. The wooded dunes and polders in the direct vicinity are perfect for nice walking and cycling tours. And there are plenty of possibilities for interesting day trips. Visit to the cities of Bruges and Ghent, for example. There are numerous museums to explore. For families with small children, the Plopsaland theme park is certainly worth a visit.